On vacations, we wake up earlier and walk around the city when it is mostly empty. The light is beautiful, great service in backerei and a great time to explore the city. Here on our morning walk through the city of Innsbruck, by the river Inn. The sun is barely reaching the tops of the Tyrolian mountains. More deserted streets in downtown. Love their use of colors. Notice how the morning glow reflected off the buildings on the right, is kissing the row of buildings on the left. 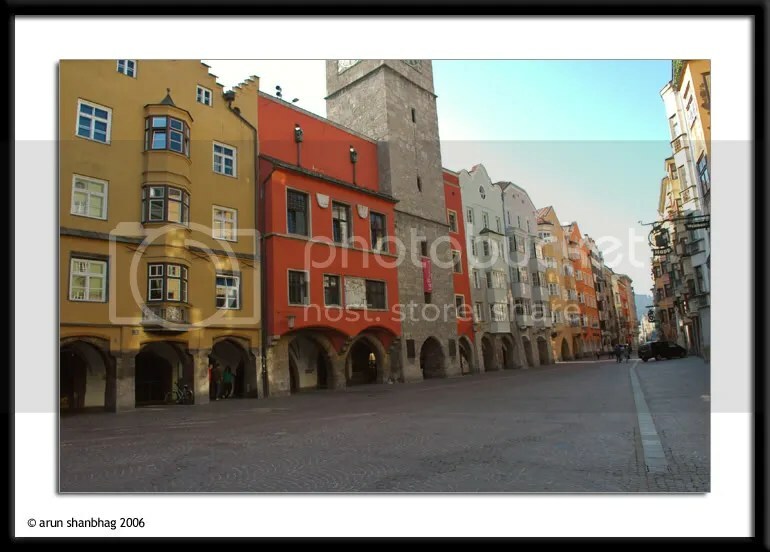 Innsbruck was the summer capital, and here the Hapsburgs would spend their evenings checking out the commoners. 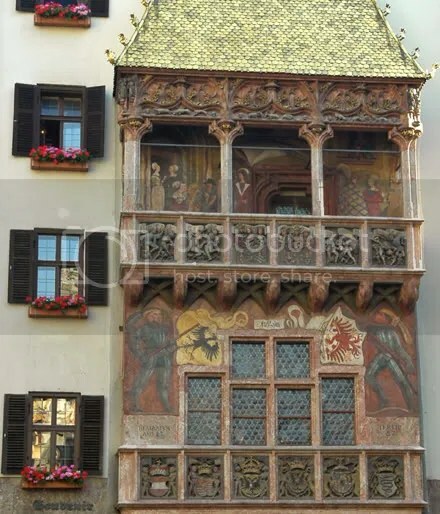 Beautiful gold leafed building! 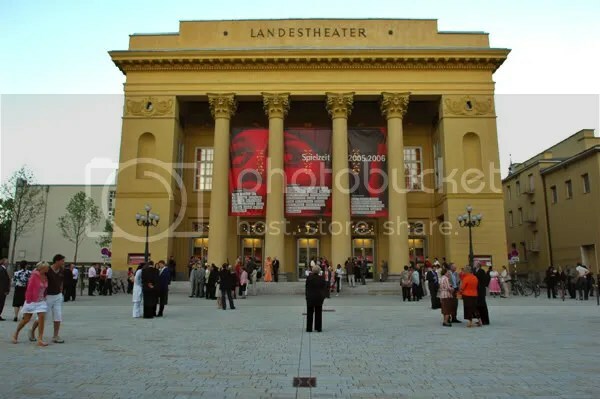 The local theater was a popular hang out place. I like how the people seem frozen in place. 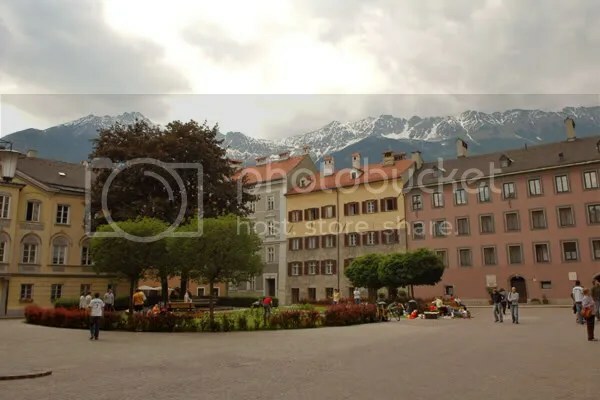 Another beautiful area in Innsbruck! 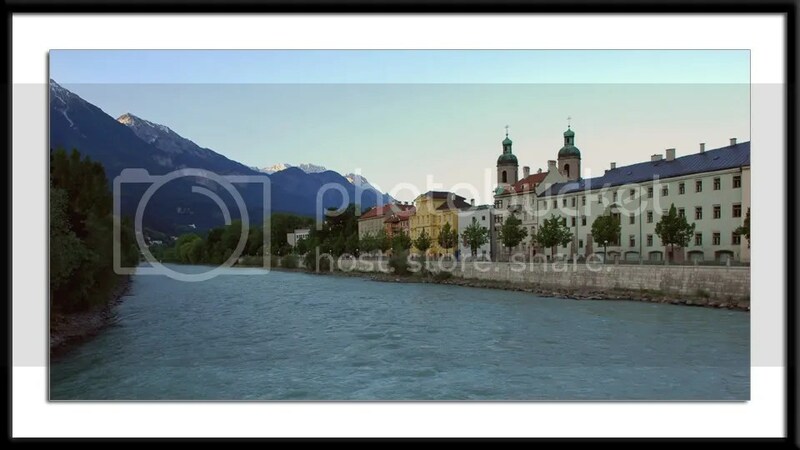 If you visit Austria, Innsbruck is not to be missed. Spend a few days, relax, take in the sites and drink the best coffee while you munch on yummy bread rolls. They make the best bread! On vacations we also avoid the news – we are on vacation afterall! 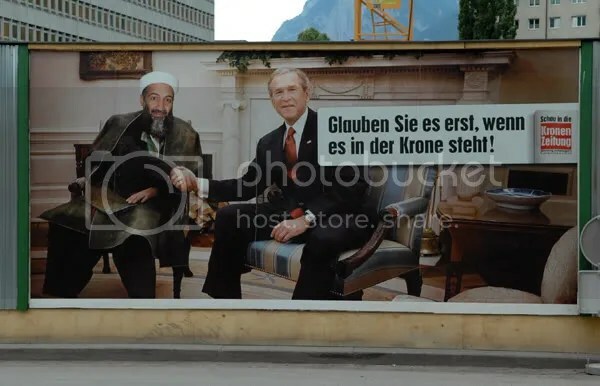 So after a long trip when we reached Innsbruck and I saw this Billboard, I thought, “WoW! A lot has gone on since I have been away.” I don&apos;t understand Deutsch ;-)!